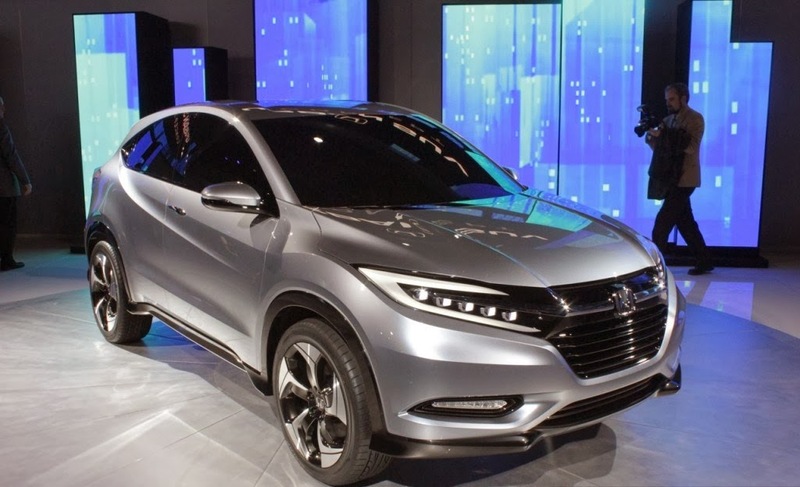 Honda's Urban SUV concept which was previewed for the first time in Detroit in January 2013, Honda says it combines "a sporty and dynamic SUV profile with a spacious, functional interior". The concept hints at a dynamic, fuel-efficient small SUV with aspirational styling and next-generation connectivity. Its clean character lines are complemented by hidden rear door handles, giving the SUV a coupe-like presence. The new concept is shorter than the CR-V, making it an ideal size for both city streets and mountain roads. Under the sheet metal there’s believed to be the same platform as already used for the Honda Fit, and the expectation is that a production version of the concept will be manufactured at the company’s work-in-progress plant in Celaya, Mexico. That facility, the subject of an $800m investment by Honda, has already been tagged for producing variants of the Fit. Stay tuned as Honda's Urban SUV production version will be completely unveiled at Tokyo Motors Show in 48 hours from now. The name CR-U is still not confirmed by the Japanese carmaker but there are several reports which confirm the same. Stay tuned for more at Wheel-O-Mania.